Too often those who are least able to afford it are taken advantage of at tax time. Now that 2017 tax returns can be filed, here are six important areas of advice for clients. Many low-income Americans rely on refunds from their Earned Income Tax Credit (EITC) or Additional Child Tax Credit (ACTC) to pay essential bills. But these Americans need to know that this year—like last year—there will be lengthy delays in payment of any refunds to them. The Protecting Americans from Tax Hikes (PATH) Act requires the IRS to delay until at least mid-February refunds to taxpayers claiming the EITC or ACTC and the IRS must delay the entire refund, even the portion not associated with the EITC or ACTC. The IRS in fact has cautioned that the earliest these refunds will reach bank accounts or prepaid cards this year will be February 27. RACs are a financial product used to deliver tax refunds and to pay for tax preparation fees by deducting them from the refund. RACs are the major tax-time financial product on the market. There were an estimated 20.5 million taxpayers who received a RAC in 2017, spending over $500 million for them. With RACs, the bank opens a temporary bank account into which the IRS direct deposits the refund monies. After the refund is deposited, the bank issues the consumer a check or prepaid card for the refund less tax preparation fees and less other fees, and then closes the temporary account. RACs do not deliver refund monies any faster than the IRS can, yet they typically cost $30 to $40. Some preparers charge additional “add-on” junk fees for RACs, fees that can range from $25 to several hundred dollars. Since the main purpose of a RAC is to defer payment of the tax preparation until the refund arrives, it can be viewed as a high-cost loan of that fee. If a taxpayer pays $35 to defer payment of a $350 tax preparation fee for three weeks, the annual percentage rate (APR) is 174%. For more on RACs, other tax-time financial products, and challenges to RAC practices, see NCLC’s Consumer Credit Regulation Ch. 15. With the delays in EITC and ACTC refunds described above, “no fee” RALs may prove attractive to many consumers. These are loans that are secured by the taxpayer’s refund, but the lender does not charge the taxpayer a fee or finance charge. Instead, some lenders charge the preparer a fee. Many lenders and preparers call these products an “advance,” but they are actually loans. An estimated 1.7 million taxpayers applied for a RAL in 2017. It is unknown how many of these applications were approved and whether all of these RALs were “no-fee.” In comparison, about 12.7 million consumers obtained RALs at the height of the industry in 2002. Even though “no-fee” RALs do not impose a fee directly on the consumer, they could present costs and risks for consumers. The lenders charge the tax preparers a fee of $35 to $45 for these RALs. Preparers might pass along these fees, or charge even more, by increasing their tax preparation fees or by charging separate “add-on” junk fees. Also, some lenders, such as EPS and River City Bank, appear to actually impose a price for “no fee” RALs by charging a higher price for a RAC if the preparer was offering these loans. In addition to a no-fee RAL, one lender (MetaBank) is offering a second loan that is secured by the tax refund, and does charge an interest rate. The interest rate is 29.9%, which is below the traditional 36% usury cap for small loans in many states. Perhaps the biggest cost of no-fee RALs is the need to pay for tax preparation. If the taxpayer had been planning to go to a paid preparer in the first place, there would not be an additional direct cost. But if they were planning to use a free resource such as a Volunteer Income Taxpayer Assistance (VITA) site or prepare their taxes themselves, they cannot do so if they want a no-fee RAL. In order to obtain a no-fee RAL, they must use a paid tax preparer and pay preparation fees of anywhere from $75 to several hundred dollars. For more on RALs, other tax-time financial products, and challenges to RAL practices, see NCLC’s Consumer Credit Regulation Ch. 15. Lack of minimum standards for paid tax preparers continues to be a serious problem plaguing taxpayers. In all but a handful of states, paid tax preparers are not required to meet any minimum educational, competency, or training standards. Only California, Connecticut, Maryland, New York, and Oregon imposed minimum competency standards on preparers who were not otherwise credentialed as attorneys, certified public accountants (CPAs) or IRS-tested enrolled agents. The lack of competency standards for paid tax preparers exposes consumers to potential errors or even fraud, as well as potentially costing federal and state governments tens of millions of dollars in lost tax revenue. Multiple rounds of mystery shopper tests of tax preparers have found high levels of errors and instances of fraud, ranging from 25% to over 90%. A national poll released in March 2017 and commissioned by the Consumer Federation of America (CFA) found that more than two-thirds of consumers believe that tax preparers are already licensed, while only 20% believe they are not. Thus, most Americans believe that they are being protected against incompetent tax preparation, when the reality is that no such protections exist in forty-five states. Taxpayers seeking a no fee RAL have twice the reason to be cautious in selecting a preparer, both to avoid incompetent and fraudulent preparers and to prevent being charged hidden fees. • What kind of training do you have in tax preparation? Have you taken formal classes or a course in tax preparation? • How long have you been preparing taxes? • Do you have any credentials (attorney, CPA, enrolled agent or completing voluntary IRS certification)? • Are there any other fees that I will be charged? Taxpayers may wish to consider a credentialed preparer, such as a Certified Public Accountant, an enrolled agent, an attorney, or a preparer who has voluntarily completed the IRS Annual Filing Season Program. A directory of credentialed preparers is available on the IRS website. An infographic by CFA offers tips on Choosing Your Preparer Wisely. A free or inexpensive alternative for low-income taxpayers is a free tax preparation site. These include VITA sites (1-800-906-9887 or https://irs.treasury.gov/freetaxprep/) and AARP Tax-Aide sites (www.aarp.org/findtaxhelp). Choosing a VITA or AARP Tax-Aide site saves eligible taxpayers the cost of a tax preparation fee. Many VITA sites can also help taxpayers open a bank account or get a low-cost prepaid card, which enables taxpayers to get refunds faster via direct deposit without paying a fee. Free tax preparation may be available on military bases as well. Since 2017 the IRS has outsourced collection of certain tax debts to private collectors. A study by the National Taxpayer Advocate found that 44% of taxpayers who made payments to the IRS after being subjected to private debt collectors had incomes below 250% of the poverty level ($24,200 for a family of four), and 28% made less than $20,000 per year. Meanwhile, in 2017, the IRS private debt collection program cost $20 million to operate while only generating $6.7 million in revenue. Private debt collectors collecting IRS debts are subject to the federal Fair Debt Collection Practices Act (FDCPA), including the consumer’s right to send the collector a written request to stop contacting the consumer. The FDCPA protects consumers against harassment and deception and provides consumers with the right to take legal action and to recover actual and statutory damages and attorney fees. To find a lawyer specializing in the FDCPA, consumers can consult an online directory made available by the National Association of Consumer Advocates (www.naca.net). For more detail on the FDCPA and the private collection of taxes, see NCLC’s Fair Debt Collection § 8.10. Taxpayers with expiring ITINs face serious delays or even loss of tax refunds unless they immediately renew their ITIN. An Individual Taxpayer Identification Number (ITIN) is used by anyone who is required to file a tax return or pay taxes under U.S. law but is not eligible for a Social Security number, including undocumented immigrants, who are still required to file tax returns. A second change mandated by Congress in the PATH Act is a requirement for all ITINs issued before 2013 to be renewed on a rolling basis. • Any ITIN with middle digits of either 70, 71, 72 or 80 (e.g., 9NN-71-NNNN). Additional ITINs will expire next year and will need to be renewed. These taxpayers should renew their ITINs by submitting a completed Form W-7 to the IRS. If they file a tax return without renewing their ITIN, they will be ineligible for certain tax credits and exemptions and no refund will be paid until the ITIN is renewed. Last year, 152,000 taxpayers had their returns flagged for using an expired ITIN. Once the ITIN is renewed, any exemptions and credits will be processed and any allowed refund will be paid. The IRS has estimated that it can take nine to eleven weeks to process an ITIN renewal during the peak period of January 15 to April 30. Visit the IRS website for more information on ITIN renewals. 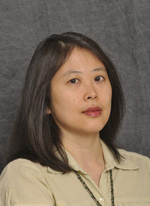 Chi Chi Wu has been a staff attorney at NCLC for over a decade. Chi Chi focuses on consumer credit issues at NCLC, including legislative, administrative, and other advocacy. Chi Chi's specialties include fair credit reporting, credit cards, refund anticipation loans, and medical debt. Before joining NCLC, Chi Chi worked in the Consumer Protection Division at the Massachusetts Attorney General's office and the Asian Outreach Unit of Greater Boston Legal Services. Chi Chi is a graduate of Harvard Law School and The Johns Hopkins University.